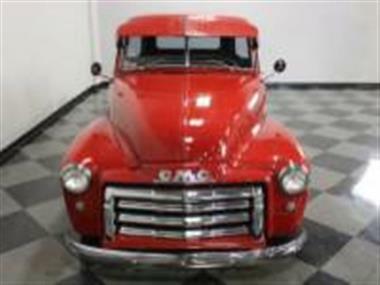 1948 GMC Other in Fort Worth, TX for sale. One of the best-looking trucks of all time also makes for one of the best rods. 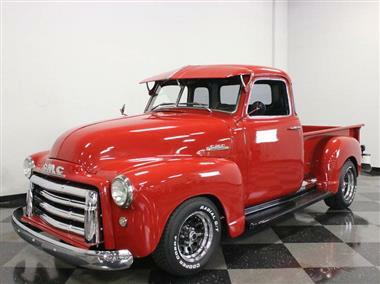 This bright red 1948 GMC 5-window pickup didnt need any extensive body mods to look this goodand#44; it was built right in at the factory. 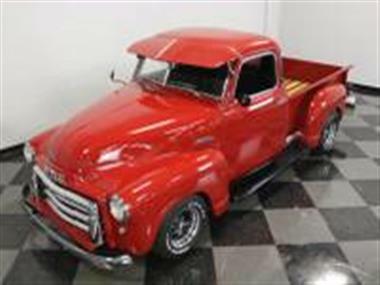 Combined with a smooth-running 350 cubic inch V8 and a comfortable interiorand#44; its a vintage hauler that does everything rightand#44; plus it comes with a matching trailer to boot! 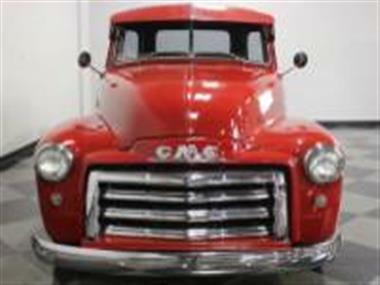 <br /> <br /> Bright red paint on a pickup was a familiar sight back in the early post-war daysand#44; and the simple non-metallic red finish on this truck definitely recalls a bygone era. The rounded fendersand#44; hoodand#44; and cab contrast smartly with the angular bed to make a truck thats both stylish and functionaland#44; even though its working days are probably over. Finish qualityand#44; thanks to a comprehensive rebuild a few years agoand#44; is good given the fact that its been driven a bit since thenand#44; yet it still fits together well enough to impress onlookers when you slam one of the doors. 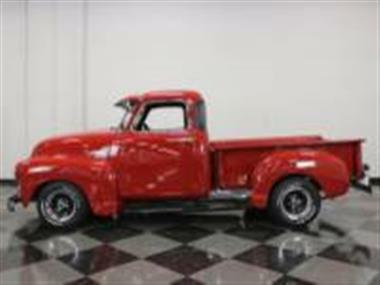 Theres nothing radical or unusual about the color combination or how its appliedand#44; but thats exactly what you want from a fun cruiser like thisand#44; and pretty much everyone agrees that these are great-looking trucks. Like most vintage pickupsand#44; the beautiful wood bed has been fully restored using painted rub strips and handsome light-colored wood planks.<br /> <br /> Thats the factory bench seatand#44; but its been reupholstered in comfortable cloth and vinyl thats far better than the original leatherette. Looking closelyand#44; other than the late-model steering wheeland#44; it still looks like a 1948 GMC pickup. Sureand#44; theres a tilt steering column and the shifter now controls a 3-speed automatic transmissionand#44; but for the most partand#44; they kept the original trucks spirit alive. 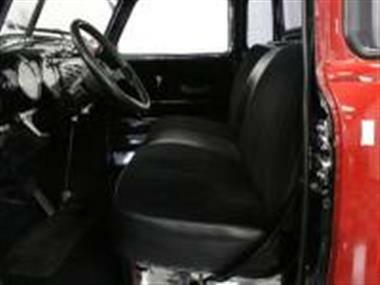 Custom carpets add a level of luxury and sound control that this trucks original owner could only dream ofand#44; but the factory gauges are still in place doing their thing. A modern Sony AM/FM/cassette stereo has been cleverly integrated into the dash with speakers hidden out of sight. We like the efforts they made to keep this truck looking honest.<br /> <br /> A 350 cubic inch Chevy V8 fits between the fenders like it was born there and they clearly went to great lengths to give the engine compartment a factory feel. 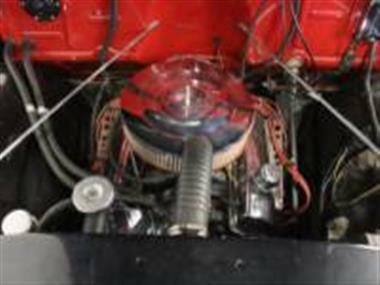 Satin black inner fenders frame the Chevy V8and#44; which wears a few chrome dress-up items for looks and an Edelbrock 4-barrel carburetor for extra kick. Note how neatly all the accessories are groupedand#44; the professional-looking heater linesand#44; and the big radiator up front with an electric fan keeping it cool. Standard manifolds feed a custom dual exhaust system with performance mufflers for a wonderful V8 rumble from the vintage Chevy. The rest of the driveline is all late-model GM stuffand#44; including a Camaro front clipand#44; a TH400 3-speed automatic transmissionand#44; and a 12-bolt rear end with 3.73s on a Posiand#44; so it rides and handles like a modern vehicle. 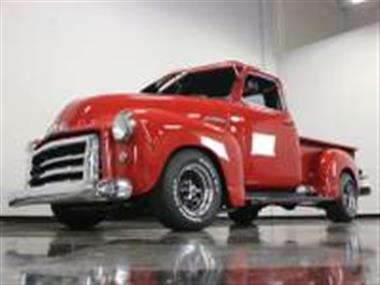 Custom wheels with black centers and spinners lend it a custom look and wear 215/70/14 front and 255/60/15 rear Goodyear Eagle radials.<br /> <br /> Funand#44; reliableand#44; and handsomeand#44; this nicely built pickup offers all the great things about a modern hot rod without the cost and wait of building it yourself. Call today!